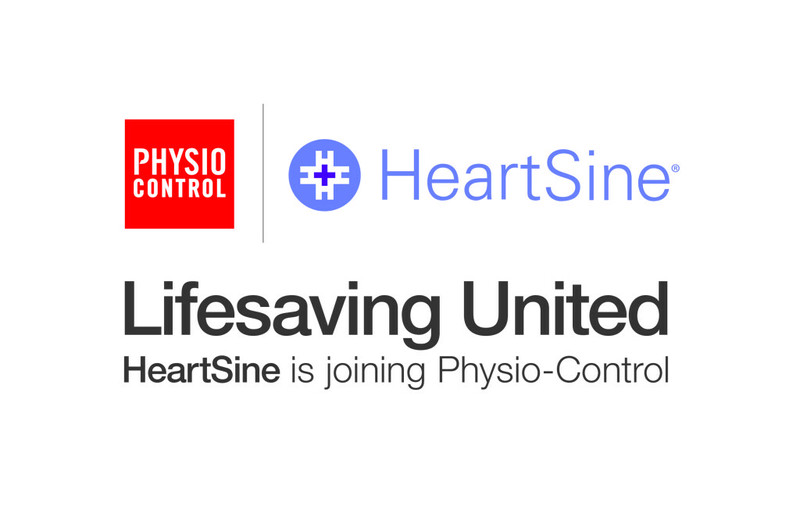 Physio-Control has reached an agreement with HeartSine Technologies to acquire the Northern Ireland-based automated external defibrillator (AED) manufacturer, the companies announced today. The two privately held companies recently completed due diligence. Financial details of the transaction are not being released. The combination creates one of the world’s largest AED solutions providers. The companies share a strong scientific and technical focus with important, often parallel histories. The pioneer of direct current defibrillation, Physio-Control has partnered with leading emergency medical systems since the 1960s and commercialized the first home use AED, the LIFEPAK 100, in 1986. HeartSine’s founder, Professor John Anderson, worked with the pioneer of out-of-hospital mobile coronary care, Dr. Frank Pantridge, in Belfast in the 1960s and 1970s. Professor Anderson was part of the team that developed the world’s first mobile coronary care unit. HeartSine’s products include the samaritan® PAD line of public access AEDs, and technologies such as CPR Advisor™, that provides real-time CPR feedback. Physio-Control’s AED products include the LIFEPAK® CR Plus and LIFEPAK 1000, distributed in 104 countries. LIFEPAK AEDs are designed and manufactured at the company’s Redmond, Washington headquarters facility and HeartSine products are designed and manufactured in Belfast, Northern Ireland. HeartSine Technologies, a world leader in personal and public access defibrillators, advances the deployment of lifesaving defibrillation therapy for the treatment of sudden cardiac arrest in non-traditional areas of care. Designed for use in public areas, the company’s entire line of AED products leverages its proprietary, clinically advanced SCOPE™ technology to optimize the administration of lifesaving treatment. The company’s products include the samaritan® PAD family of AEDs for public access. HeartSine is active in over 70 countries worldwide in a wide range of environments. HeartSine is based in Belfast, Northern Ireland and Newtown, Pennsylvania. To learn how a HeartSine AED can save lives, please visit www.heartsine.com or follow HeartSine on Facebook and Twitter.